Allsparks Gentleman Thunderheart " Tango" est le premier né de l'élevage le 12 octobre 2011 à 9h50 par césarienne, chiot unique de Multi Ch. 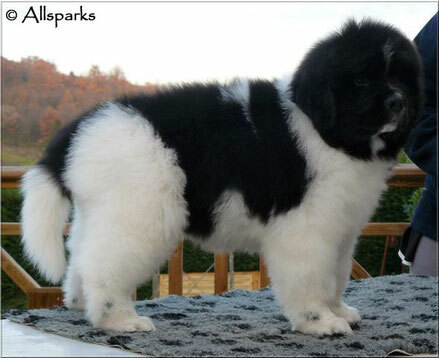 Willow Bear Deep Impact "Kenaï" et GCH Pawsinn Threeponds Lancelot "Lance". Il a un superbe pédigree, et il est exactement ce que j'attendais de ce mariage, il va donc rester avec sa maman et Vigo! Allsparks Gentleman Thunderheart "Tango" is the first one arrived from the kennel on October 12th, 2011 at 9:50 am by caesarian, only puppy of Multi Ch. 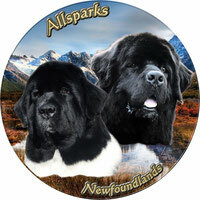 Willow Bear Deep Impact " Kenaï " and GCH Pawsinn Threeponds Lancelot "Lance". He has a magnificent pedigree, and it is exactly for what I expected from this marriage, it is thus going to stay with her mom and Vigo!